This unique hybrid hotel with dual brands is located in downtown Austin at 9th and Red River. 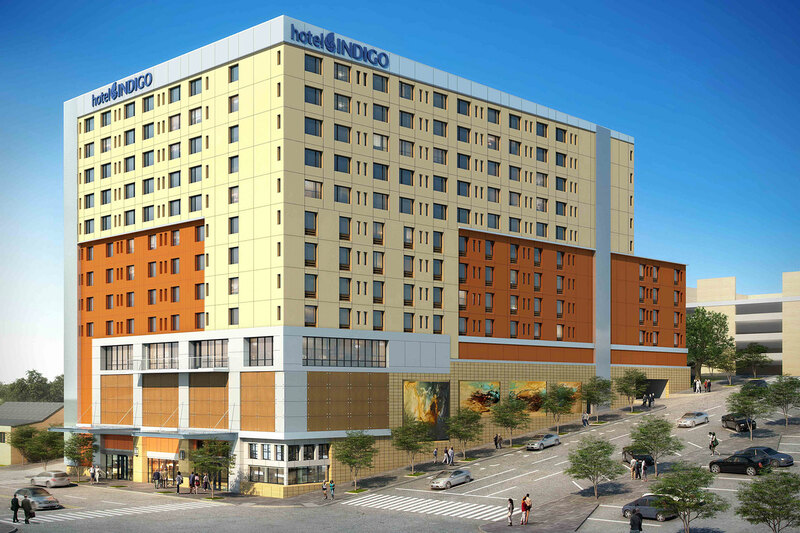 Featuring separate entrances, the Holiday Inn Express entrance on Neches Street and the Hotel Indigo entrance is located on Red River Street. The hotels will be operated jointly by Intercontinental Hotel Group. Easy access to Interstate 35 and easy driving distance to San Marcos and San Antonio.